Homeowners in Woodbury can get help to make repairs and improvements to their homes. This program helps homeowners make repairs that improve the value of the home and/or correct code violations. Funds are available as low-interest loans. Program Overview: The City of Woodbury HRA has made low-interest home improvement loans available to encourage improvements in Woodbury’s neighborhoods. Current available dollars for loans are based upon the fund balance for any given period. Loan Amount: The maximum loan amount is $40,000. Minimum loan amount is $2,000. Interest Rate & Loan Term: The interest rate will be below market rate, and the monthly payment will be fixed. Maximum loan term is 15 years. Loan is due upon sale, transfer of title, refinance or if the property ceases to be owner-occupied. All loans will be secured by a mortgage in favor of the Woodbury HRA. The Woodbury loan may be secured in a subordinate position behind other loans. Borrowers aged 65 or older or who are military veterans shall receive a discounted rate. Loan Security: All loans will be secured by a mortgage in favor of the Woodbury HRA. Applicant will be required to obtain title insurance on this loan for the Woodbury HRA, if the loan amount is in excess of $5,000. Debt to Income Limit: Borrowers’ monthly debts cannot exceed 50% of monthly income. Credit: Standard underwriting criteria apply. Income Limit: Applicant total gross annual household income shall not exceed $126,000. Owner-occupied properties must be located within the City of Woodbury. Property value may not exceed $390,000. The borrower’s combined mortgage debt including the Woodbury loan cannot exceed 100 percent of the property value, based on the taxable market value as determined by Washington County for the current year. Applicants may also submit a third party appraisal that has been completed within the last 6 months. Such an appraisal is to be obtained by the applicant at their expense. Reduce flood risk to properties that are not eligible for cost participation in the City’s Flood Risk Reduction Grant Program. Ineligible Improvements: Recreational improvements, working capital, debt service or refinancing of existing debts. Application Process: The Woodbury HRA has selected NeighborWorks Home Partners (NWHP) to administer the loan funds. 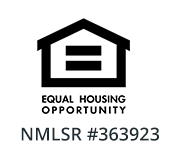 Please visit their website for an application and list of documents needed via https://nwhomepartners.org/city-woodbury-homeownership-programs/. Completed applications will be processed on a first-come, first-served basis, as funds are available until all program funds are committed. After loan approval you will be contacted regarding a closing to sign a Note and Mortgage. Rehabilitation Consulting: NWHP consultants will be available to advise borrowers about proposed projects and conduct an optional initial home inspection. NWHP consultants will review bid(s) for reasonableness. Loan Costs: Washington County Recording fee and prepaid daily interest will be paid by the borrower(s). Credit report fee will be paid by the borrower(s) at application. There is a $25 processing fee requested after the loan estimate is provided to the home owner. Lien Waiver Original from each contractor. W-9 signed by each contractor. Final Inspection and approval by the Woodbury HRA. It may take up to 10 business days after receipt of above items to prepare checks. Checks to contractors must be countersigned by the borrower. Lien waivers must be provided before funds will be released.